Live video breathes new life into the creative efforts of brands that want to create more immersive experiences, according to Elizabeth Closmore, vice president of strategy and partnerships at Sprinklr, a social media management platform for enterprises. "Live video humanizes everything. It's more one-to-one than a recorded video, it's personal and it allows the consumers to feel like they are participating in a shared experience," she says. Platforms with strong social components will likely be the most successful, because "live video is only a commodity if it's shared." Both Closmore and Levey expect the sophistication of live video, and its potential audience, to increase during the next year. "While it isn't entirely polished, we're at a point where there's an appetite for the raw video," Levey says. He also expects live broadcasts on Periscope, Facebook and Snapchat to soon rival the quality of videos on YouTube and reality network programming. "There will be a raising of the bar, and it will get to the point where both personalities and brands have polished live videos … The behavioral pattern of viewing is going to change." Virtual reality (VR) will also likely play an important role in the future of live video, and some of the leading players in the live video market, such as Facebook, are also investing heavily in VR. 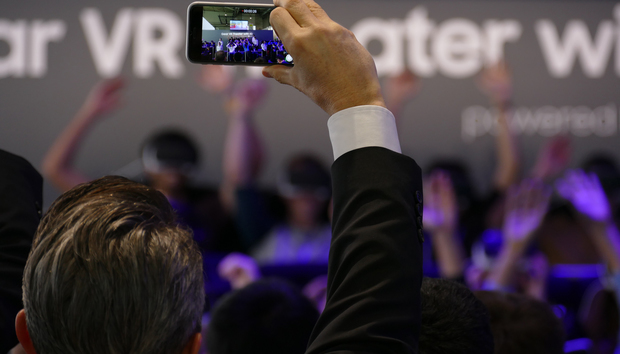 "Live video feeds the consumer need for real-time engagement, and VR will take this to the next level, allowing for interactivity and true suspension of disbelief," says Beck Besecker, CEO at Marxent, a VR app developer. Without VR as a component, mobile live streaming will be more like cable news, he says. "It may be live, but it's not immersive." For now, the battle lines appear to be drawn among a few leading social platforms, but many more companies are likely to try their hands at live video. Dedicated live video sites, including YouTube Live and Ustream, are also capable of hosting and building engaged audiences, according to Closmore. "At the end of the day, it comes down to infrastructure to support the streaming, discoverability to surface the content and a social contract with the end users so they stay interested enough to come back and use the platform."